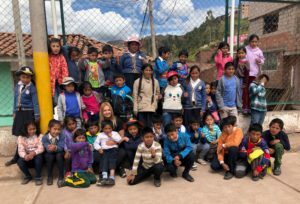 Since this year the project has been working together with the local primary school ‘Luis Vallejo Santoni 501318’ which is located in Santiago, a very disadvantaged neighborhood in Cusco. It’s a very small school, there are only 4 tiny classrooms. This means that both, the 1st and the 2nd grade as the 5th and the 6th grade, are grade classes. The playground is a large lawn, there are no playground toys. El colegio ‘Luis Vallejo Santoni 501318’ is a public school. 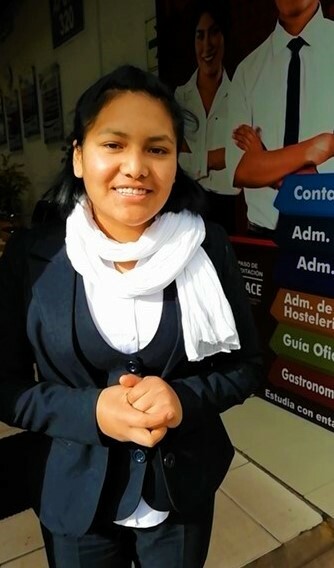 In all schools in Peru it’s obligated to wear a uniform and to purchase materials. Going to school is expensive for many families, both in a private school and in a public school. Many parents can’t pay the costs of a uniform (+/- $ 180) and all materials (+/- $120). Most families also consist of more than one child, which makes it more expensive to go to school. In many schools these children are therefore refused. They are forwarded to other schools where they often get to hear the same story again. 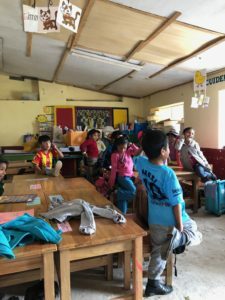 There is compulsory education in Peru, but it’s not followed up whether a child actually goes to school. 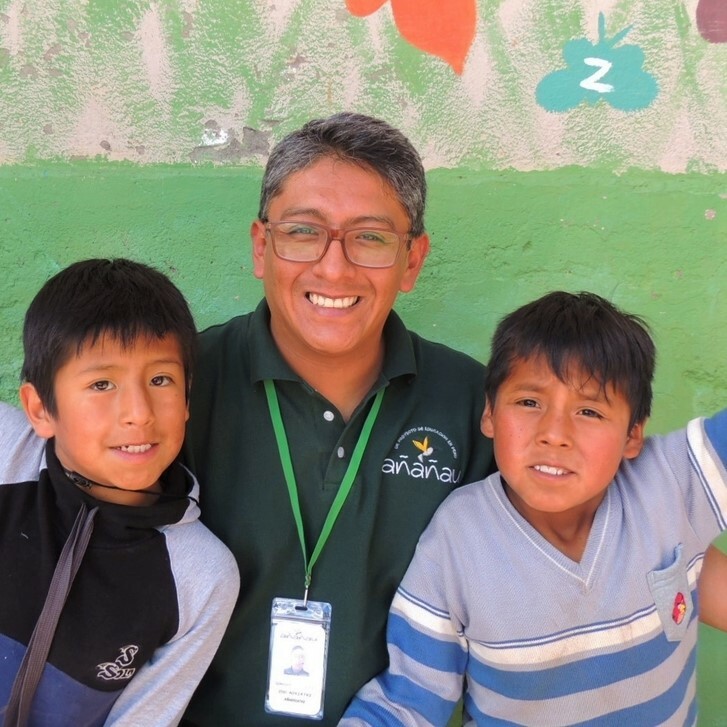 Luis Vallejo Santoni is a school that accommodates these children. 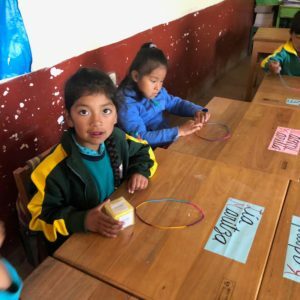 A uniform is not required, there is a request to buy a package with school material, but they are free in what they buy exactly and more account is taken if the family can’t afford it at that time. 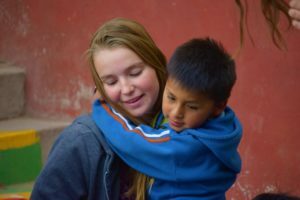 At the beginning of this year, an intern teacher of primary education, Joy Meesens, did an internship in this school. She exchanged experiences and working methods with the team of teachers of the school and introduced various innovative methods. This helped the teachers to teach in a more playful and moving way. 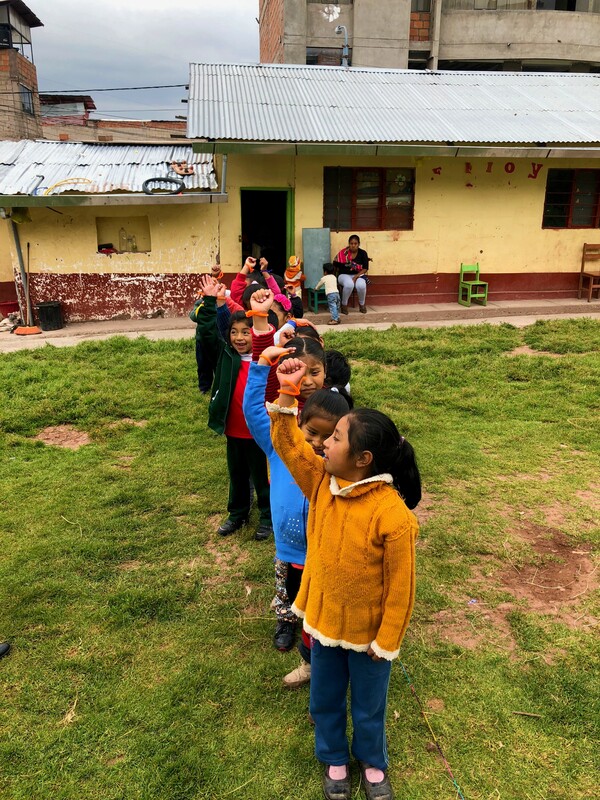 The lessons were made with singing, dancing and moving. This increased the concentration and motivation of the children during the lessons. 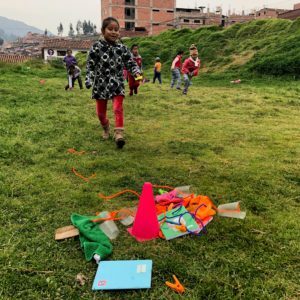 In Peru, children are not used to this way of learning. The majority of the schools still teaches in a traditional way, where almost only copy work is involved. The school is still very primitive at the moment. 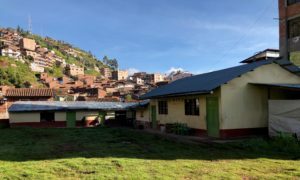 Often there is no running water, very little didactic or learning materials, no copying machines, squat toilets … In the spring, the school moved to a provisional building, because they are completely busy with renovating the old school! Good news, of course! We are already looking forward to the opening that will take place somewhere in the upcoming months. 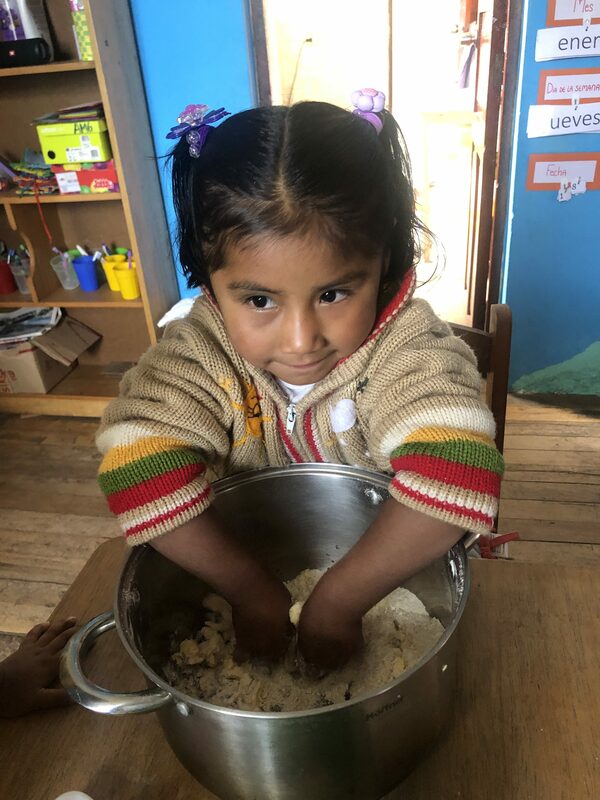 The school ‘Luis Vallejo Santoni’ thinks it is important that children like to go to school and wants to offer these children more opportunities for a better future. Añañau shares this empowered thought with the school and that is why we are happy to extend this cooperation further on. There are already a lot of ideas, but you will soon read more about this in a next newsletter!